Well, I have been selling on the internet in various forms for almost a year now, but I feel like I am finally getting started. I have sold on Ebay and on Etsy, but I needed a way to connect the buyers from each of these venues to the other. I have discovered this blog as the way to do it! Also, it will be useful in communicating with you, my customers. Etsy is experiencing some revisions in it's rules, so I may be unable to sell unaltered vintage items on there starting April 1st. 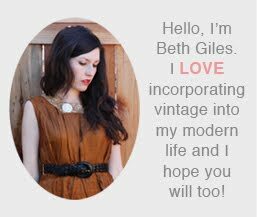 While I am waiting to see what the verdict is on that, I plan to list as many of the vintage items that I have in stock as I can. I will also be listing some items on Ebay. Please click on my links to the left to see my items for sale. I would love to hear from you! Post a comment or send me an email at SalvageLife@gmail.com. Have a great day!